Only 3% of the roofers in the country have earned the GAF Master Elite® certification. It is a mark of high excellence because GAF’s standards aren’t exactly easy. 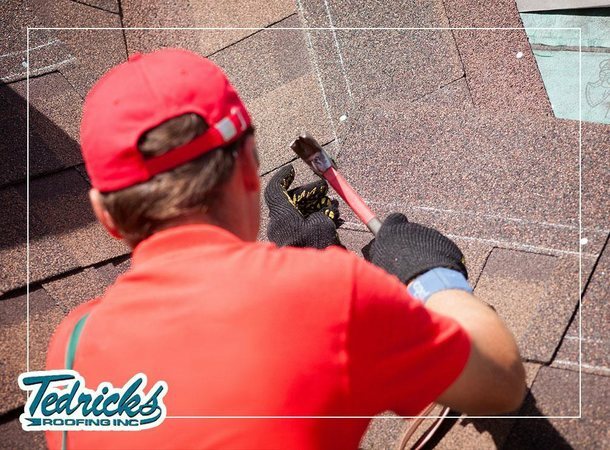 By hiring a Master Elite contractor, however, you are guaranteed a stress-free home improvement project with access to more roofing solutions than the regular roofer. At Tedrick’s Roofing, Inc., we are proud to be recognized as a Master Elite contractor. We explain what it means to have one service you. There are several necessary qualifications each company must meet before they can be considered a Master Elite contractor. First, they must have all necessary licenses for roofing. They must achieve a local satisfaction rating of 99% or over as determined by their clientele. They must be properly insured and willing to undergo continuous professional training from GAF. No matter the type of roofing service, a Master Elite contractor maintains the best professional service and attitude. They always double check their work with a unique 40-point inspection list. They also keep up with training to learn the latest methods in installation and maintenance. With this precise, detail-oriented attitude, all Master Elite contractors keep your system intact and in peak condition. Every company certified by GAF for roof repair, replacement and installation have full access to the company’s wide selection of materials. This includes ones with finishes, styles and designs to match the architectural theme of your dwelling. Whether you own a contemporary or a Renaissance-style home, your roof will fit it. Lastly, GAF Master Elite contractors are the only ones to offer their high-end warranties. This includes the Golden Pledge® Limited Warranty. With the Golden Pledge, you have coverage for material defects lasting 50 years while workmanship flaws for 25 years. It also comes with free labor from tear-offs and disposals, meaning you won’t need to pay for a full replacement. Got a home improvement project ideal for Master Elite contractors? Call Tedrick’s Roofing, Inc. today at (877) 212-9355, or fill out our contact form to request a free estimate. We serve many areas in and around Federal Way, WA.